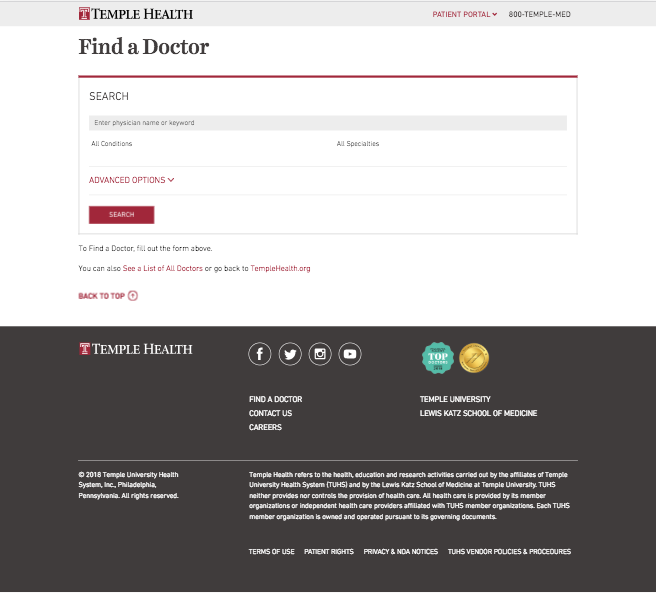 The Temple University Hospital System Find a Doctor site was a custom Drupal theme built while consulting with Eastern Standard. 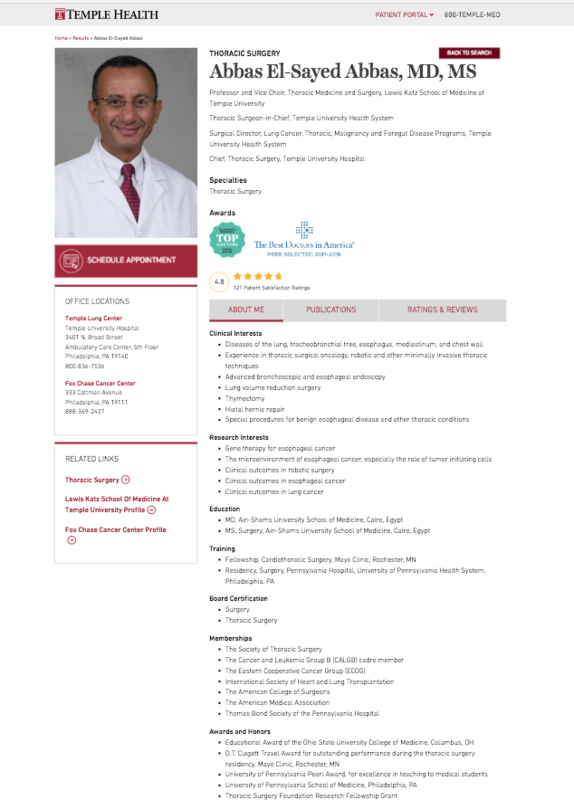 The custom theme was developed as a canonical search site for all doctors throughout the Temple Health network. The theme included a search by location proximity search as well as search filters for multiple doctor characteristics, including gender, specialty, location, and more. 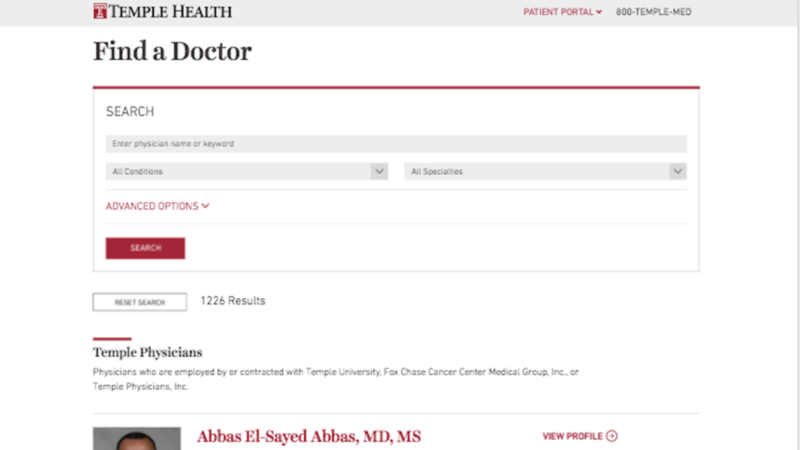 The Find a Doctor site also utilizes import and export feeds to integrate with the existing anchor sites for Temple Lung, Temple Heart and Vascular Institute, and Fox Chase Cancer Center.